Hello all! 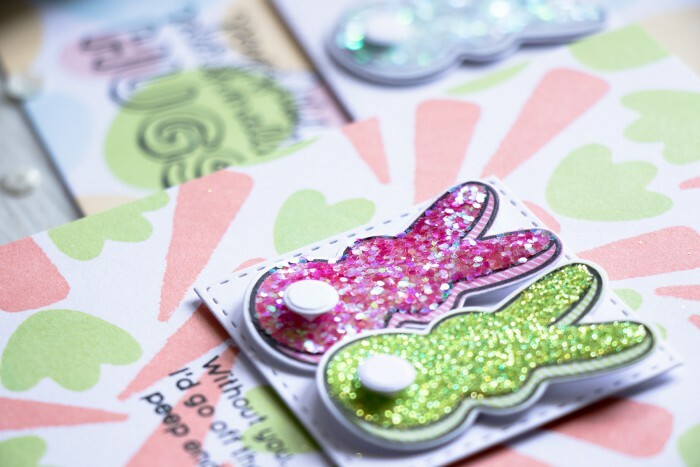 Back in the days when stamping was just staring to get popular (and when I didn’t have a lot of stamps but had loads of dies) I would use fun foam, die cut a shape out of it and use it for stamping. 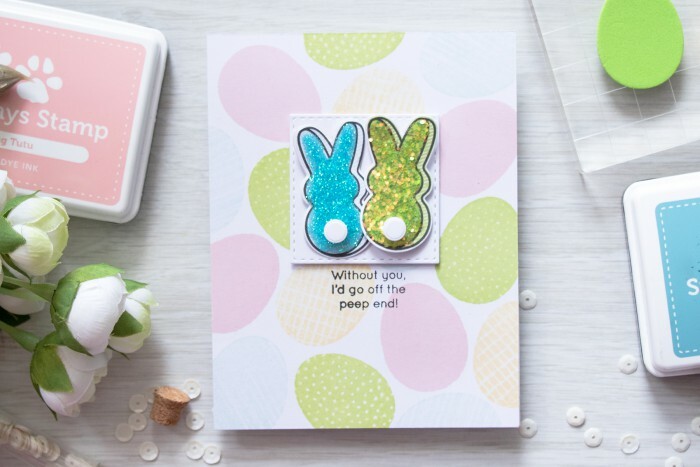 Its such a fun technique, in fact I still use it from time to time (here’s a link to a video where I used feather dies to create feather stamps). 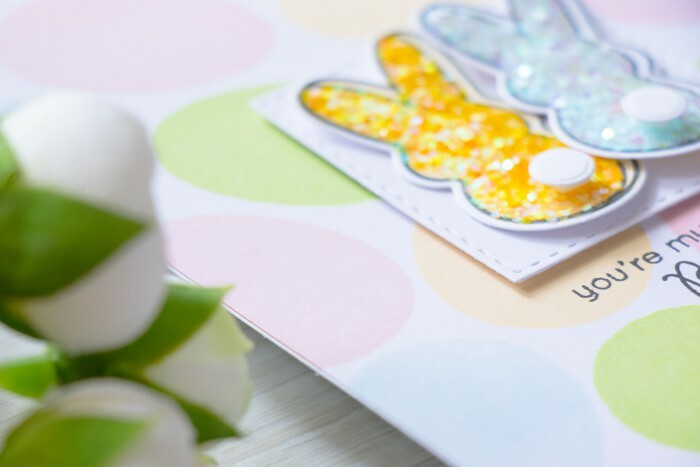 Today I’m sharing a bunch of Spring cards featuring DIY Foam Stamping. 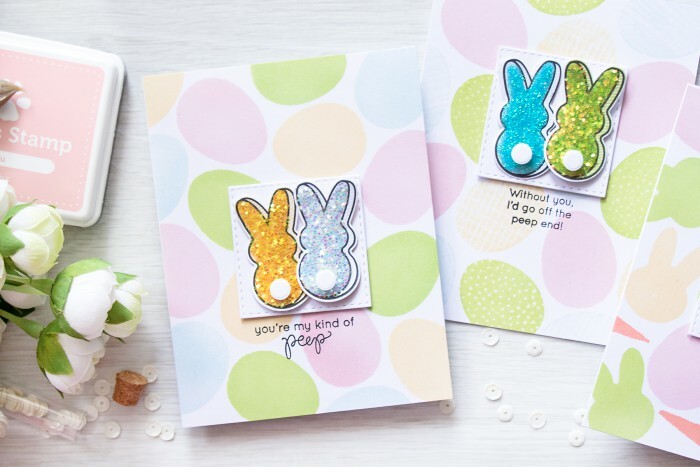 The backgrounds on the cards I’m sharing today were all stamped using DIY stamps made out fun foam using Simon’s Springtime Shape Dies. Easy peasy (and rather addictive too)! 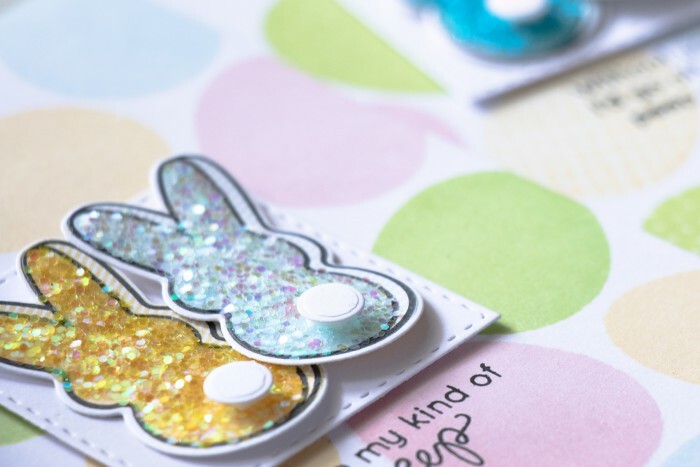 I’m sharing a video tutorial showing in detail how you can make your own stamps (how to cut, mount onto a block, what adhesive to use etc). I am also sharing a few tricks such as making color coordinating stamps (using yellow fun foam stamp to stamp with yellow ink). Hope you’ll enjoy it! 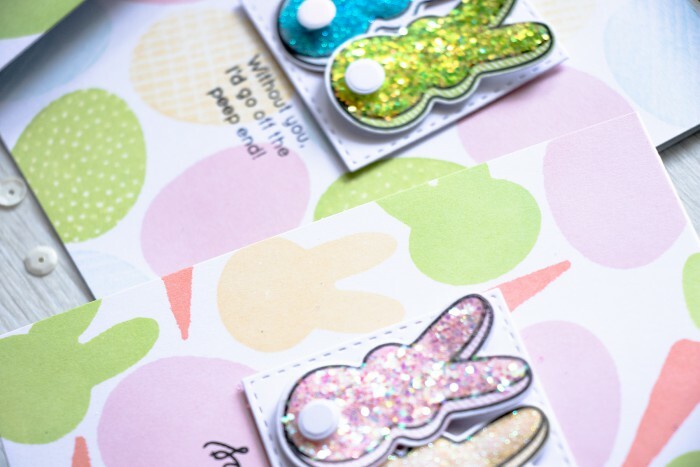 For some cards I used only stamps in the shape of eggs, for others I mixed and matched different shapes – eggs, bunnies, carrots and used several Spring colors (my current favorites!) – Duckling, Twirling Tutu, Jellybean and Surf Blue. 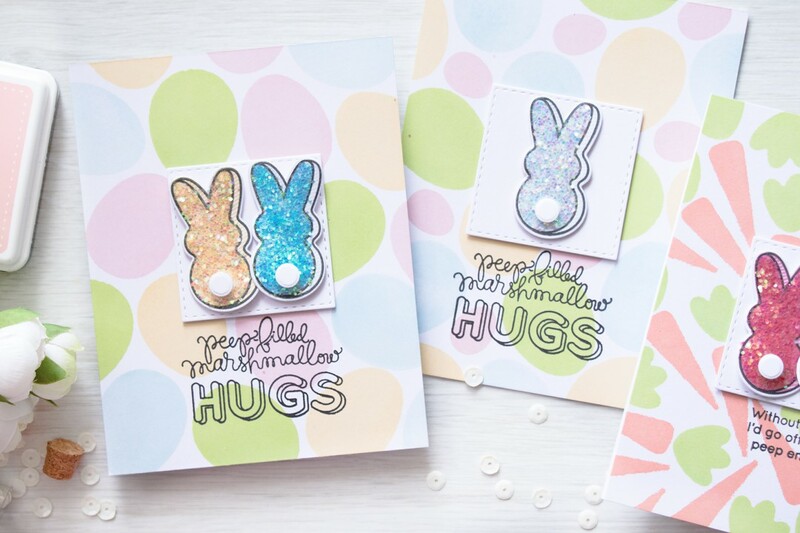 Very cute and fun cards, Yana!